Last month, we gave it to you straight – the Chicago real estate market has entered a new phase of competitiveness. And April showed no sign of letting up. Many factors are contributing to the intensity of this year’s hot spring market, but the underlying cause hasn’t changed. Lack of inventory fueled the fire in last year’s spring market, too. 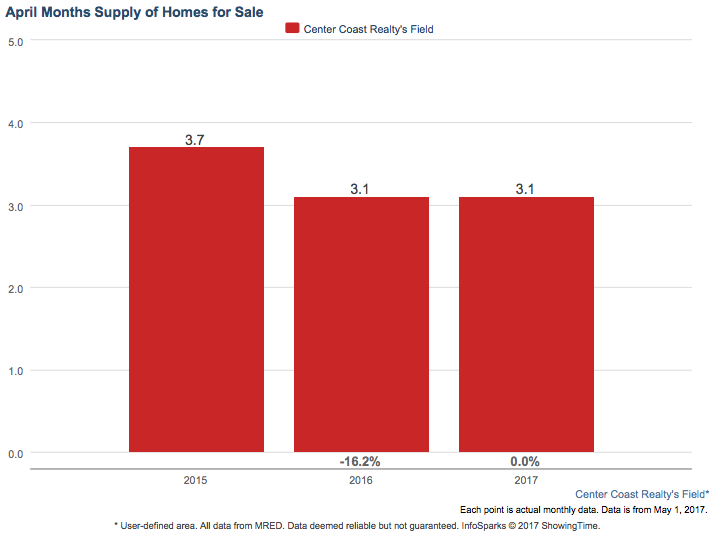 In fact, April’s shortage of homes for sale is on par with what we saw at this time last year. So what’s making this year’s spring market so much more competitive than last year’s? Two words: more buyers. With expected interest rate increases looming, even more buyers are looking for homes than usual this spring. Buyers know this is their last chance to lock in a low interest rate, so when they see a home they like, they are snatching it up real fast. Homes that closed in April were on the market for 12 days, on average. 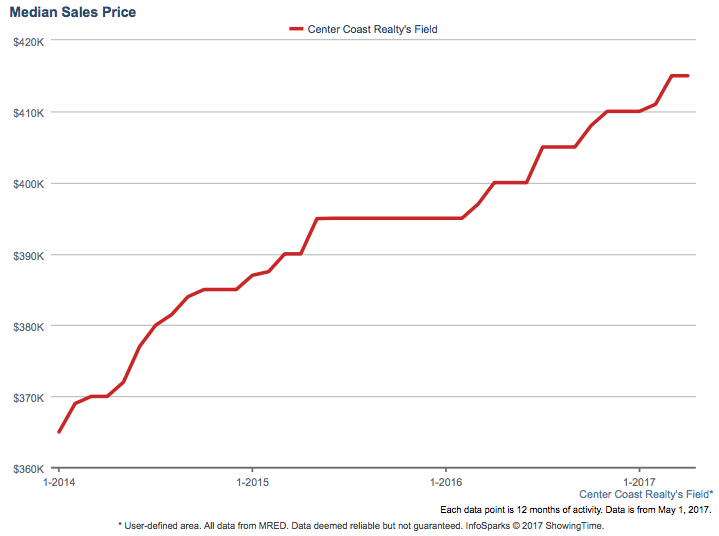 The median market time for homes that closed in March was just slightly longer, at 14 days. From what we’ve been seeing out in the field, we expect median market time to continue in this downward direction. But by how much? We won’t know for sure until homes with May and June closings go into the books. So how does this ultra competitive market climate impact prices? 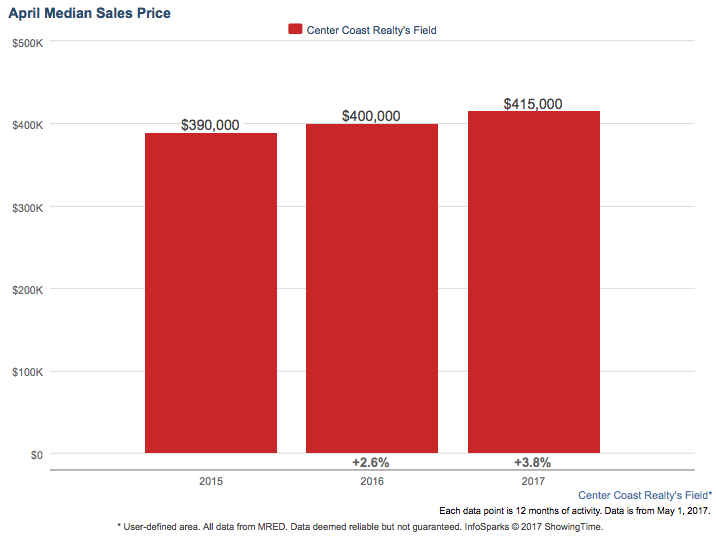 While median sale prices are most definitely on the rise compared to last year, we aren’t seeing a drastic month over month increase recorded just yet. 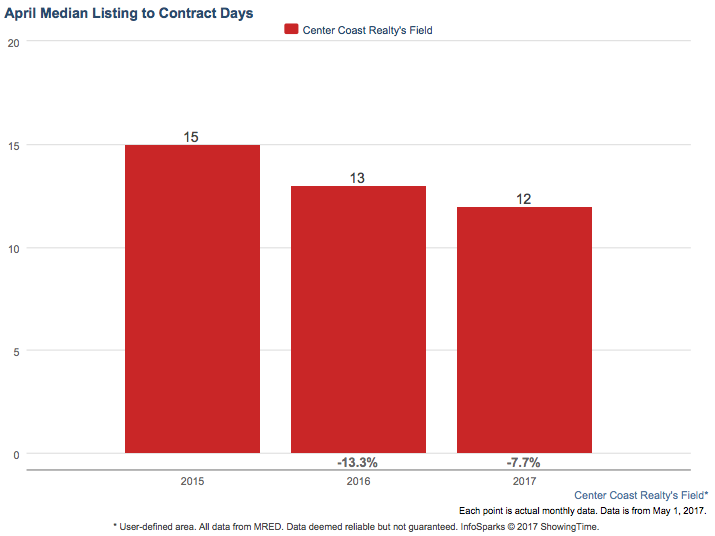 This could definitely change as homes that went under contract in March and April close over the next few months, and their sales price data gets recorded. Only time will tell. If you’re a homeowner that is even mildly considering moving this year and a light bulb hasn’t already gone off in your head, it should be going off now. Right now is an amazing time to be a Seller in Chicago’s real estate market. Buyers will be banging down your door to buy your home. If you’re going to be one of the buyers fighting tooth and nail for one of the few homes available, start your search early and be ready to pull out all the stop to snag the home you want.